Everything in your house deserves a home, but lots of people don't assign a dedicated space to their most important objects. Planners need a place to live when they are in the house, so that they can be located in a moment's notice. 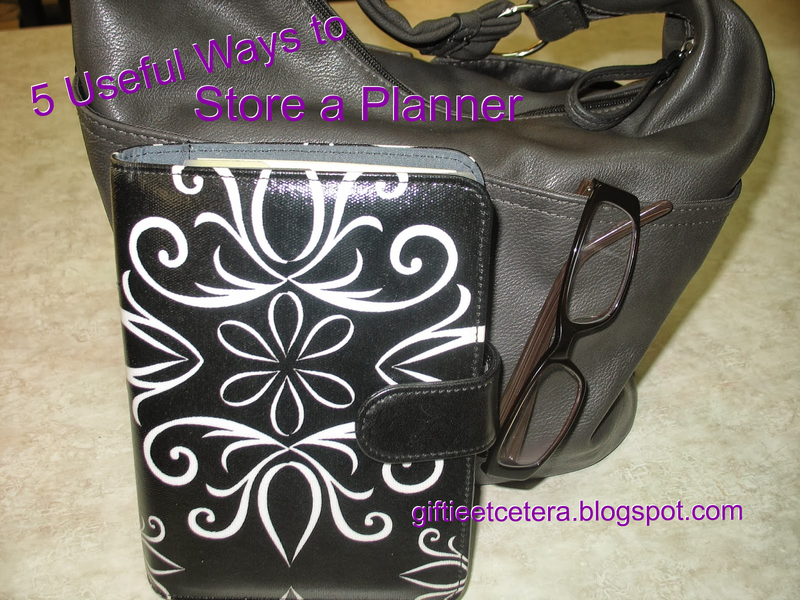 If your planner is not assigned a home location, consider one of these options for storing your planner. Consider a recipe or book holder for your planner, especially if you use it at home mostly to look at the monthly calendar or for reference. A recipe holder will allow the planner to be open and on display at your house or on your desk. A planner is one of the most important tools in the house, so putting out a simple decorative tray gives the planner a dedicated, priority spot. Keeping the planner in your purse or work tote ensures that you always know where it is and never leave home without it. If you are one of those people who must write down thoughts before going to sleep, consider a special space next to your Kindle and alarm clock. TIP: If you choose by the bed, have a system in place for remembering to take your planner with you. If there is a work area in your home, it might be the logical place for your planner. Confession time...I do a combination of these. Having dedicated, marked spaces on my desk and by the bed - using decorative trays - means that my planner moves from room to room with me. If not in use, it gets tucked in my purse. Where do you keep your planner? If its not in my work bag its right beside me on the couch lol. I have taken it to bed but my night stand is pretty small so when I am done with it I lay it on the floor. Its never not with me. I keep mine on a work cart with other supplies. My planner lives on my desk, normally on the left side. It is easy to grab when I need, and also near where my purse is kept for when it comes time to leave the house! I couldn't leave it in my purse, though - I struggle with the "out of sight, out of mind" thing, so keeping it in my purse means I would get a lot less done! Great ideas! I used to always carry a planner...now it's just on my iPhone. I am at home most of the time so my planners are usually laid open on my desk. I do sometimes keep them on my bedside especially if I need to refer or review something for the night but it's not often. I usually take the pocket planner with me when I go out but if it's a business appointment, the personal will come with me too. My planner lives on my bed beside me. As I have to spend about 95% of my time in bed, it's the best way to make sure it's always accessible when I need it. Choosing the right place to keep your planner is definitely an important thing that can make-or-break whether it works for you! I keep mine on the couch so I see it when I leave the house. When I'm home for the day (rare), I keep it on the kitchen table.